Primary Therapist Stacey Rosenfeld, PhD, CGP explores the cultural influences of eating disorders in modern day society. For more information and to follow Dr. Rosenfeld’s professional blog, please scroll to the end of the post. For the original article, please visit the NEDA website. Does every woman really have an eating disorder? Of course not. I wrote my book, and started the blog that inspired it, to shed light on the incidence of subthreshold eating disorders, now called Other Specified Feeding and Eating Disorders (OSFED) and subclinical presentations, commonly referred to as disordered eating. One thing I had noticed in fifteen years of working with patients with eating problems was that just because someone didn’t meet full criteria for anorexia or bulimia (or now binge eating disorder) didn’t mean that her struggle wasn’t real. So, while not every woman (or man) has an eating disorder, the point of my book, controversial title and all, was to raise awareness across the spectrum of eating and body image disturbances that plague millions of women throughout their lives. Perhaps more accurate than labeling the individual is labeling the culture as disordered. It is nearly impossible to go a day without exposure to a weight-loss ad, the latest diet trend, or a story about the obesity crisis. On a recent 24-hour trip to participate in NEDA Awareness Week, I was greeted at the airport by a banner ad that read, “Lose your fat, not your luggage” and at dinner that night, I ended up at gluten-free restaurant that a friend of mine had chosen unbeknowingly. When I casually asked for bread mid-meal, our server declared proudly, “We’re totally gluten-free.” The restaurant tab read: “100% Guiltin Free,” in case there was any doubt about the morality of our meal. Do these cultural influences cause eating disorders? Again, of course not. But, for those who have the genetic predisposition to developing an eating disorder, living in today’s world is like walking in a minefield. With the “right” set of genetic and psychological/constitutional factors, a disordered culture, as we say, pulls the trigger of our loaded gun. And what about recovery? For those who’ve taken on the brave task of seeking help for their eating disorder, recovery must occur against what I call a “backdrop of disorder.” Recovery is a daunting project, period. Yet, I can’t imagine a more challenging time and place to recover than one in which calorie counts are posted in restaurants, movie theaters, and coffee shops; where group fitness instructors suggest you push it to the limit because you dined with gusto the night before; and where diet trends pounce daily on social media in the form of ads, recipes, and seductive before-and-after pictures. Now, more than ever, recovery must evoke a solid set of blinders, keeping you focused on your path and shielding you from the many triggers you might encounter on a moment-to-moment basis. That is why I fight so tirelessly to challenge these cultural influences. We might not have a handle on how to address the biological causes of eating disorders (yet), but the cultural forces that can play a role in the elicitation of eating disorder symptoms – and that impact how all of us relate to food and our bodies – are well within our reach. 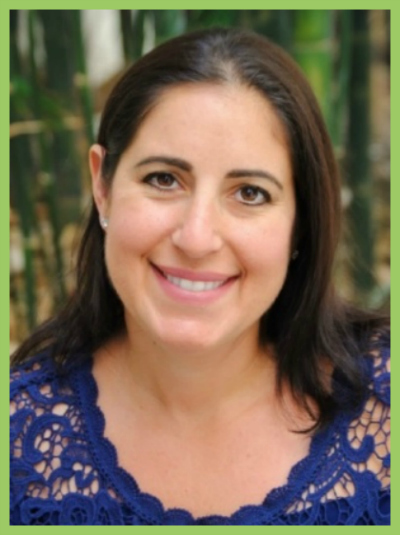 Stacey Rosenfeld, PhD, CGP is a clinical psychologist, on the Oliver-Pyatt Centers team and working in private practice, who treats patients with eating disorders, anxiety/depression, substance use issues, and relationship difficulties. Visit her website here and subscribe to her personal blog here. For more information about Oliver-Pyatt Centers please call 866.511.HEAL (4325), visit our website, subscribe to our blog, and connect with us on Facebook, LinkedIn, Twitter, and Instagram.